Well its been another busy week of fishing and catching red fish here in Lafitte . The Arkansas crew was back in town and what a time that is . As always we had a good time catching red fish and enjoying life . 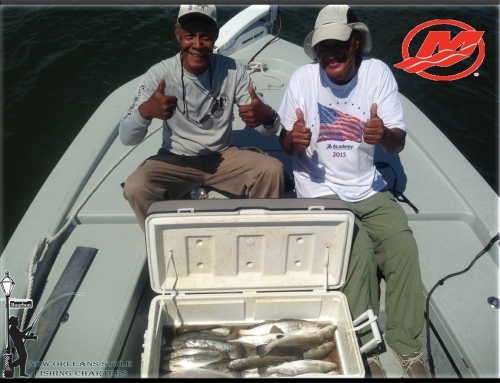 Out again tomorrow to catch some fine red fish just 30 south of New Orleans Its fun and affordable for all. If you’d like to “COME FISH A NAWLINS GOOD TIME ” give me a call or email I have some days open in June . 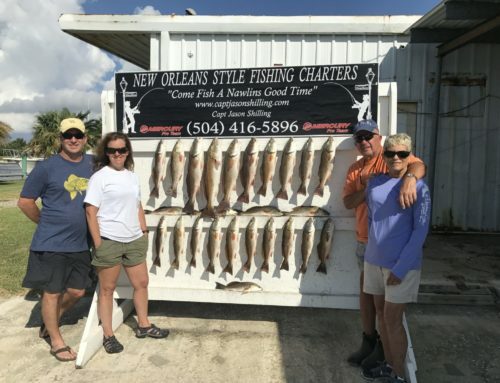 New Orleans Style Fishing Charters will show you the true meaning of southern hospitality and lots of action . Thanbks to everyone who has been out with me this last week .